Arrived at Sun Moon Lake around 10.30am. 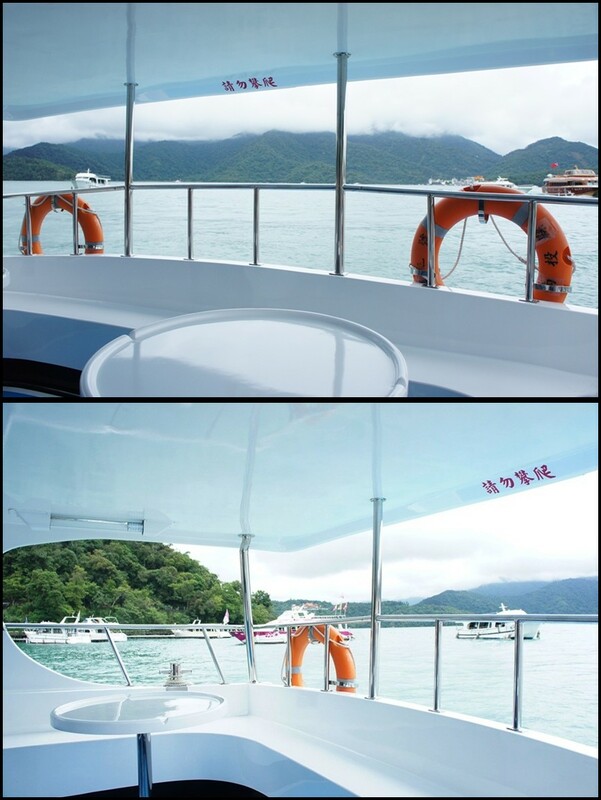 The price for the boat ride cost about NT$ 300 for adults (per person). What a lovely pink boat. Unfortunately that's not the one I rode. Tour around the lake for almost 40 minutes. The tour guide for the boat ride was a good looking guy yaw! Should have taken picture with him. I love the way he speaks. His tone and voice sounds so good. 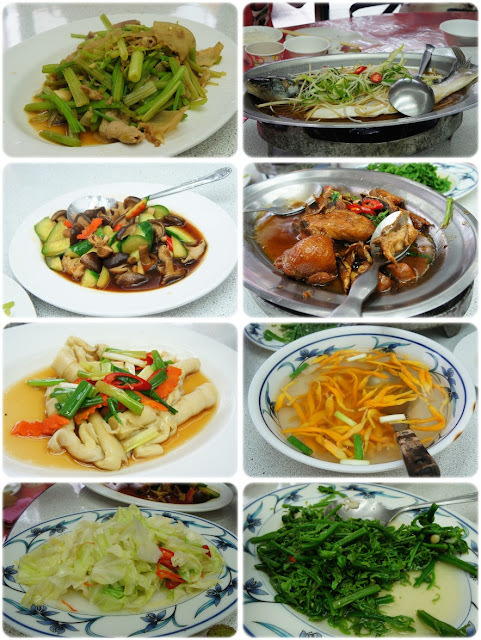 Had our lunch in a chinese restaurant located somewhere around Sun Moon Lake's area. Mark was placed on a separate table. He dined with 2 other ladies because they were under the vegetarian zone. hehehe. As for the rest of us, we were under the pork eater zone. After our lunch, we drove to Formosan Aboriginal Cultural Village which was located not that far from Sun Moon Lake. Roughly about 20 to 40 minutes drive if I'm not mistaken. Stay tune for the next post regarding to this aboriginal village and also theme park. Yes it is a theme park! I'm so excited to blog about it. Unfortunately I am very sleepy right now. Hence I need to put it on hold and blog it some other times. What's up, all is going perfectly here and ofcourse every one is sharing information, that's in fact good, keep up writing. Please let me know if you're looking for a writer for your weblog. You have some really great articles and I feel I would be a good asset. If you ever want to take some of the load off, I'd absolutely love to write some content for your blog in exchange for a link back to mine.